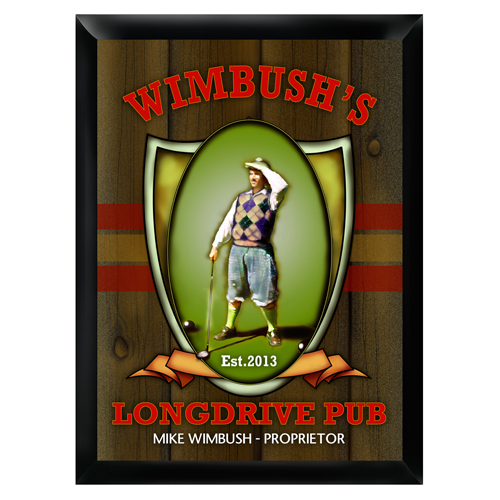 Welcome to the "Longdrive Pub". 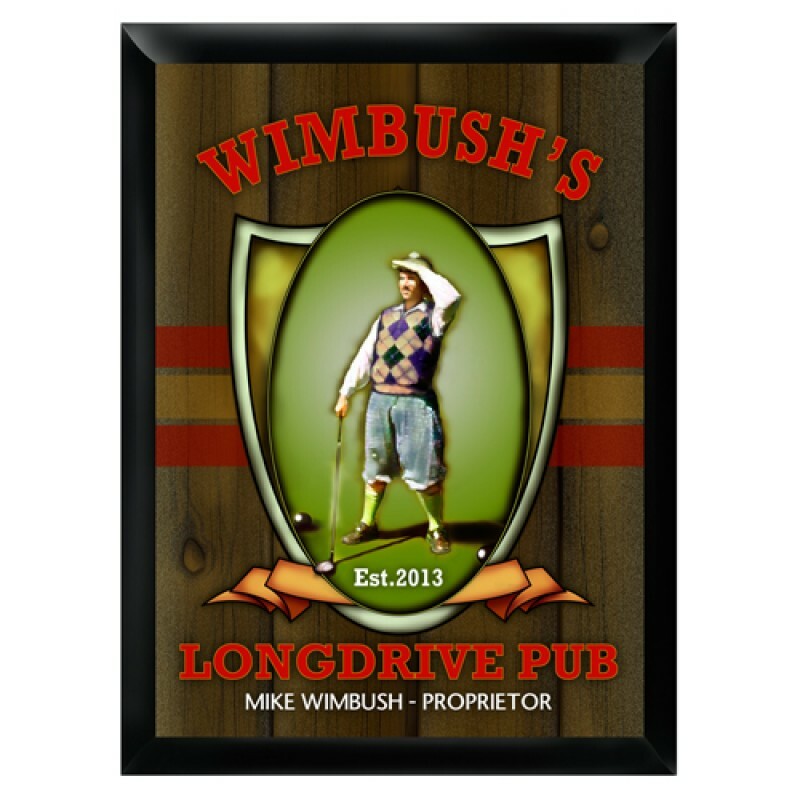 This personalized sign is perfect for the golfer who appreciates the traditions of the game. Designed with classic golf imagery, this sign captures the old school feel. Each design is printed directly onto the wood base for lasting quality. Measures 9" x 12".